← Sin Tax – Mother Earth Brew Co.
You might be asking yourself, did he forget to type something or which festival? But in this instance my poor typing skills and spotty proofing are not to blame. The Festival is an annual beer event that for the last couple of years has graced New England and fulfilled craft beer fan’s bucket list beer dreams, but is moving out West for their third year. 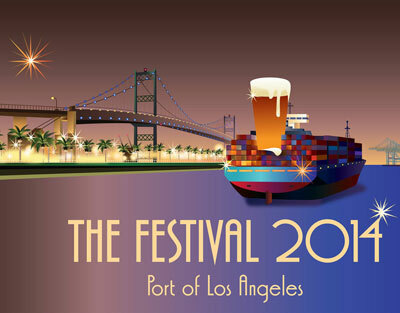 Produced by Shelton Brothers, a Massachusetts based importer and distributor of alcoholic beverages, The Festival was started as a way to showcase a wide selection of their beers from around the world in one venue. The Festival was so successful the last two years that it has landed on several lists of the best beer fests in the US. But the second year had some major hiccups in regards to Maine’s antiquated liquor laws, which required Shelton Brothers to jump through many hoops and spend quite a bit of extra money. 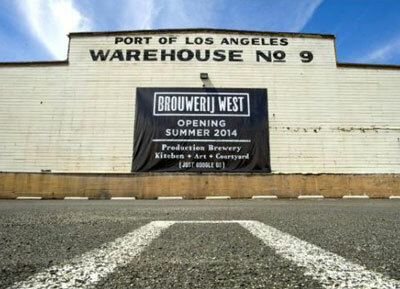 The California connection started with a longstanding relationship with Brian Mercer the owner of Brouwerij West, which just so happens to be in the build out phase of their own brewery in the Port of Los Angeles. The space that Brouwerij West has in the port is a massive building that they have some very interesting plans for in the future, but for now its large open space looked like a perfect venue to Shelton Brothers (and California’s much more relaxed alcohol restrictions probably didn’t hurt either). The Festival 2014 is going on Saturday November 8th and Sunday November 9th. The official line up of beers being tapped is kind of mind blowing, ranging from Prairie Artisan Ales to Mikkeller to Brouwerij De Molen (one of my personal all time favorites) with a few local standouts as well like The Bruery, Firestone Walker, and Beachwood Brewing. You’re probably already salivating by this point so let’s breakdown the details. You will need to buy an entrance ticket for either one of the two sessions each day($40-$45), an all day pass for Saturday or Sunday($80-$85), or a weekend pass($160). You will also need to purchase drink tickets which are redeemable for a 2oz pour of beer. Drink tickets will be $1 a piece with a slight discount if you buy 24 tickets. Beyond the actual beer you will be consuming you also get several big perks for the price. The biggest of these is that Shelton has arranged for all the beer to be shipped out specifically for the event. This might not sound like a big deal off the bat, but when you think about how long it can take to get beers from Europe to the US you sometimes don’t end up with the freshest examples of each brew when buying from even the most reputable sellers. The next big selling point is the sheer variety of rare and hard to get beers that will be available. If you know of anywhere else outside of Belgium that you can get samples of SIX DIFFERENT CANTILLON BEERS I’d love to hear about it. On top of the rarities, Shelton has a number of US breweries that don’t distribute to California coming out, like the much acclaimed Arizona Wilderness Brewery, which you’d be hard pressed to get outside of traveling out of state or trading with someone closer to the source. The last perk is that there will be more than 90 brewers in attendance at The Festival ready and waiting to passionately tell you all about their beers. One thing I’ve learned over the years is that if you really want to know about a beer, the best person to ask is the brewer. If hanging with a bunch of brewers in an old aircraft hangar in the port drinking some of the best beers in the world sounds like the way you’d like to spend your weekend, be sure to buy a ticket now.